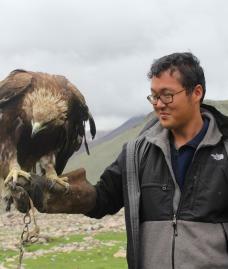 Yong Cho studies histories of the Buddhist material and visual cultures across Eurasia, holding trans-regional and trans-religious perspectives. More specifically, his research focuses on the material evidence of the Sino-Tibeto-Mongolian Buddhist world in Yuan China. In particular, Yong is interested in the histories and agencies of the Northern Asian peoples, commonly ignored or marginalized in the conventional histories. Yong also holds interests in the Silk Roads history, history of archaeology in Central and East Asia, material dimensions of shaman rituals in Korea and Inner Asia, and cultural history of the Korean diaspora communities in the former Soviet Union, Japan, China, and the Americas. Yong received B.A. from Yale University in History of Art and East Asian Studies (2013).